Features multiple patches, black snaps and laced sides. 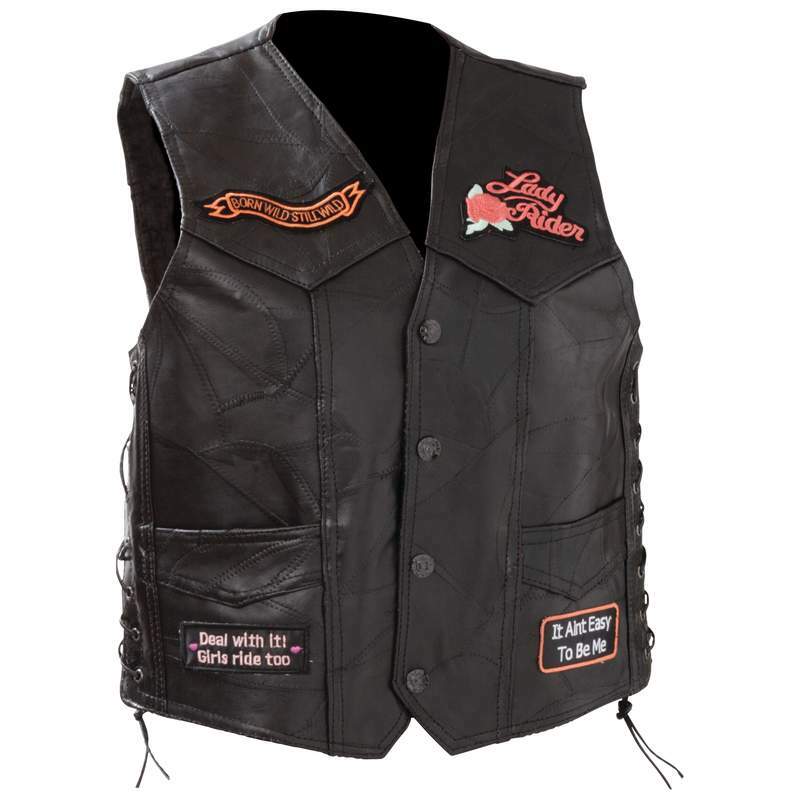 Patches on the front of vest read: Born To Be Wild, Lady Rider, It Aint Easy To Be Me, and Deal with it! Girls ride too. 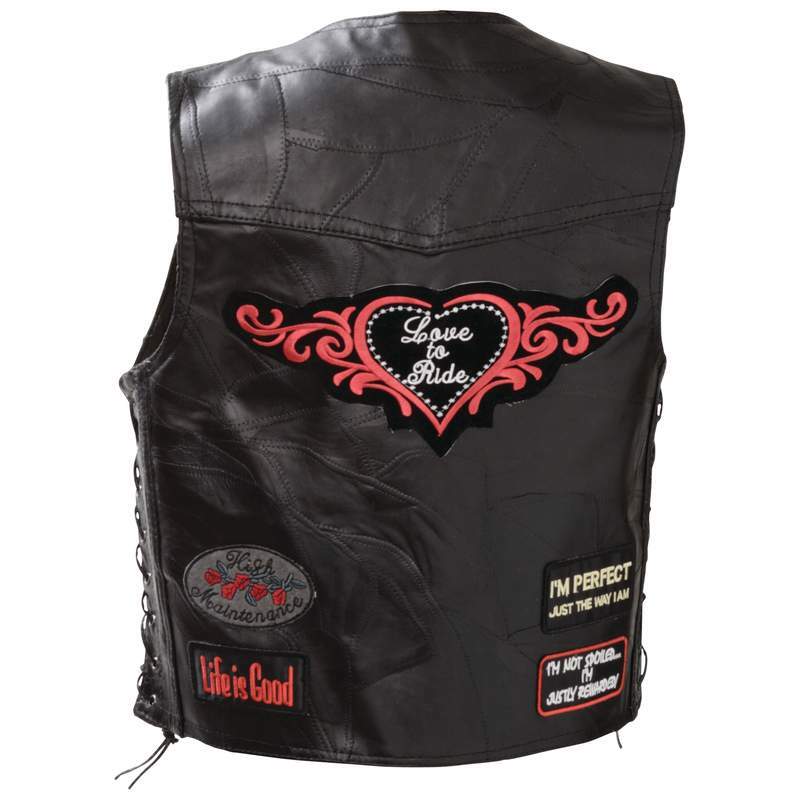 Back patches read: Love to Ride, I'm Perfect Just The Way I Am, I'm Not Spoiled. . . I'm Just Rewarded!, High Maintenance, and Life is Good. Embroidered patches are included and already sewn in place! We suggest ordering a size smaller than normal, these run large. 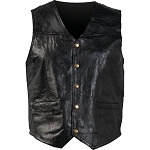 For best fit lay a vest or jacket that fits you out flat and snapped/zipped and measure in same spots, then compare to chart. 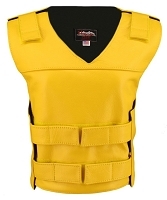 14" 14.5" 15" 16" 17"
Waist 38" 41" 44" 48" 52"
Love this vest! Good quality, well designed and made, makes me want to add my other patches. Very comfortable, it's actually a little too big but fits perfectly over a hoodie. Love the value for the price!